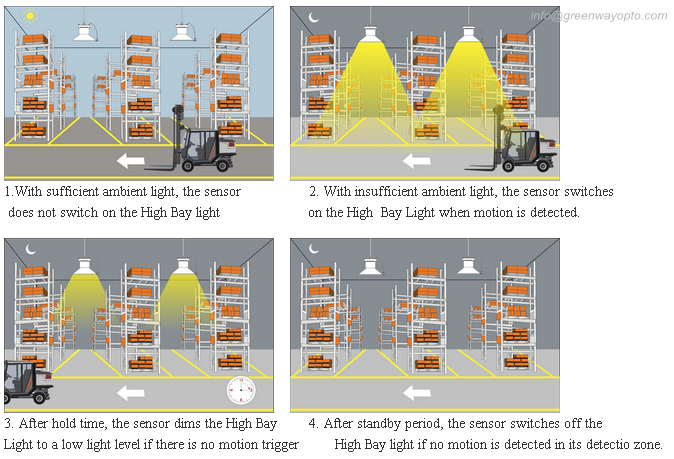 Our Motion Sensor LED Light series are including the Motion Sensor LED High Bay Light, the Motion Sensor Street Light,the Motion Sensor LED Panel Light etc. detection area can be reduced by selecting the combination on the DIP switches to precisely fit each application. 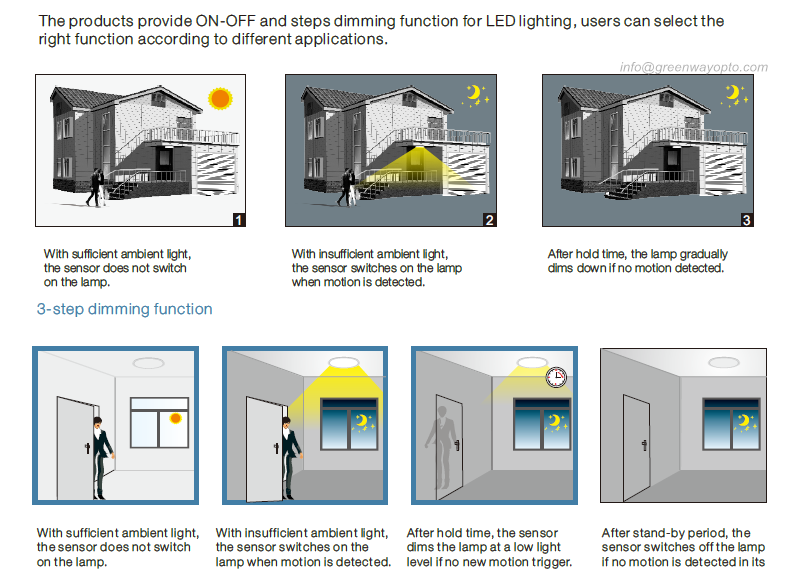 Refers to the time period the lamp remains at 100% illumination after no motion detected. Refers to the time period the lamp remains on at a low light level before it completely switches off in the long absence of people.When set to Disable mode, the low light is maintained until motion is detected. The low light level you would like to have after the hold time in the long absence of people. 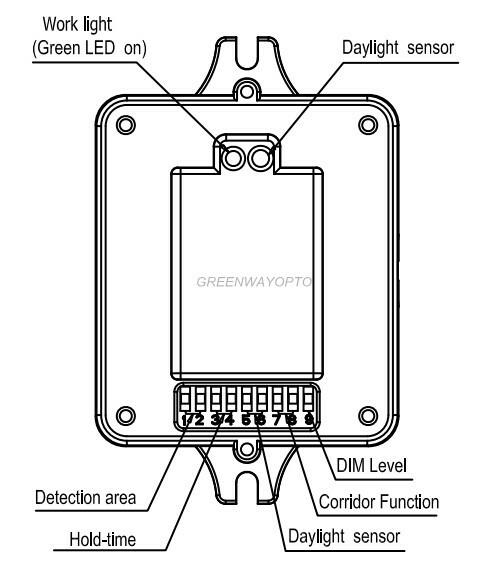 The sensor can be set to only allow the lamp to illuminate below a defined ambient brightness threshold. 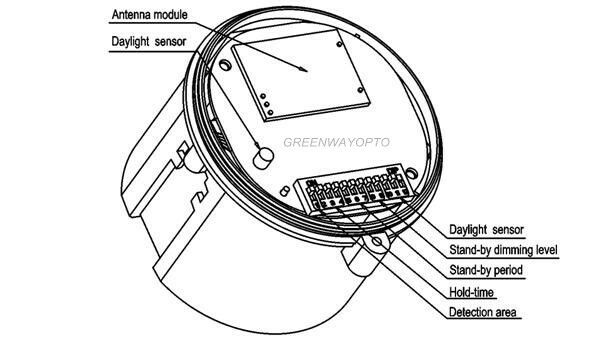 When set to Disable mode, the daylight sensor will switch on the lamp when motion is detected regardless of ambient light level. 50lux, 30lux: darkness operation only.